Home » Bikes » Glossary » What is Horsepower? Horsepower, often referred to as BHP (brake horse power) is a term commonly used when it comes to describing the peak power of a car or motorbike. Is it really to do with horses though? Where did the term come from, and what does it actually mean in terms of the speed and overall power of your next motorbike. Today we are looking at the definitive guide to horsepower, made easy to grasp in simple bite sized pieces. To define what the term means, we need to explore its origins. Invented and discovered by James Watt, the Scottish engineer created this metric measure originally aimed to prove and substantiate the power of the steam engine he had invented. He was indeed the same person whose been immortalised by the definition of Watt as a unit of power, i.e. the light bulb and the term is now applied to a wide number of engines. Because most people of that era were very familiar with the work a horse could do, he decided to compare steam engines to horses. Watt concluded that the average horse could lift 550 pounds one foot in one second or 33,000 pounds 1 foot in 1 minute. He then declared this to be the rate of one horsepower. So, simply put, “horse power” simply refers to the imperial measurement of power. When it comes to motorbikes, or many other vehicles for that matter, horsepower is one of the key talking points of many bikes and their riders. The theory is, the more you’ve got, the better rider you will need to be, as the faster your bike will be. But, in the same way that powerful cars should only be driven by experienced drivers, bikes with a high BHP can ultimately have more power than the rider can handle. Just to confuse the matter further, as motor bike riders we should be interested in the THP. While the BHP equals the power delivered directly to and measured at the engine’s crankshaft, it includes its frictional losses in the transmission — gears, bearings, oil drag, wind, and so forth. The THP, also known as the “effective horsepower” is the power that’s been turned into forward motion on a chassis dynamo-meter (known as a dyno), becoming the bikes “True HP”, or wheel power. So while the manufacturer might quote a massive “200bhp” from their latest motorcycle, the fact is, that after transmission losses, this will usually equate to a figure at least 10% lower, if not 20%. 200bhp at the crank is likely to result in around 170-180bhp at the wheel. So, in conclusion, whilst BHP is an important measurement of the power of your bike, more is not always more, especially if your bike weighs in at the hefty end of the scale. Ride safe, and stick to a bike that offers enough power to be fun, but not so much as to be a risky ride for you. The most powerful motorcycles are generally MotoGP bikes, which can produce upwards of 250bhp from their 1,000cc normally aspirated engines. These are multi-million pound racing bikes, which can only be run for a few hours before the engines need to be rebuilt. Ducati’s 1299 Panigale is their top-spec superbike. Exotic, expensive and unbelievably fast. The 1299 Panigale S is a slightly more exotic version, with better-quality suspension, then comes the Panigale 1299 R, which is lighter and makes more power than the S (around 195bhp) but Ducati have an even higher-spec Panigale up their sleeve: the Panigale 1299 Superleggera. Superleggera means ‘Superlight’ and the superlight bike isn’t just lighter, it’s massively more powerful too, thanks in part to its 1285cc engine (the Panigale R ‘only’ has a 1198cc engine), lighter and stronger engine internals and a higher rev-limit to the standard bike. The result is a £72,000 and 210bhp production motorcycle. If you want to have the most bling bike in the local biker cafe’s car-park, you’re not going to go far wrong with this. Aprilia’s RSV4 is a normally aspirated (i.e no supercharger or turbocharger), 1,000cc V4 engined superbike. Aprilia race in MotoGP using a heavily revised version of the V4 engine that you will find in the RSV4 production superbike. The standard RSV4-RF, the top of the range production Aprilia superbike, produces around 180bhp at the rear wheel and is a £17,000 monster. However the FW is Aprilia’s Factory Works version – a limited edition, ultra-exotic RSV4 that produces over 230bhp. It’ll cost you a pretty penny – the FW-GP can be ordered from Aprilia for approximately £75,000. If you’re a good enough rider, you could probably qualify on the back of the MotoGP grid. Kawasaki launched the H2 and H2R in 2014 and it is the only production supercharged motorcycle available to buy. There are hardly any production motorcycles that use turbos or superchargers so the H2 is a rarity. 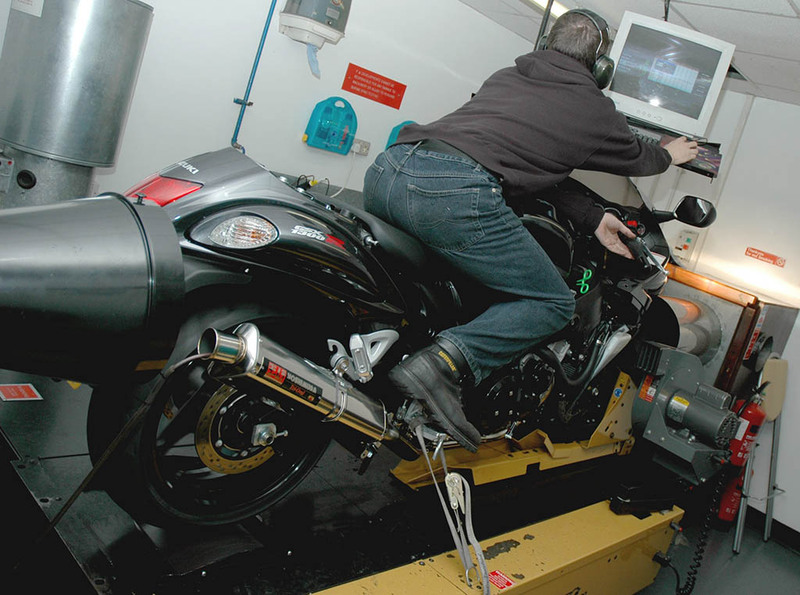 The standard H2 costs around £25,000 and – if you can find one – the H2R will set you back a whopping £50,000. The H2 uses a supercharged 1,000cc inline four-cylinder engine. The H2R is a beefed-up H2 with stronger and lighter engine internals and an more aggressive map making it delivery a frankly insane amount of power; 300+bhp is enough to make your hair go grey with the twist of a throttle.